This event is mandatory for all DOUBLE DECA athletes (at least the race briefing). Food is included for all athletes and up to 2 accompanying persons per athlete. 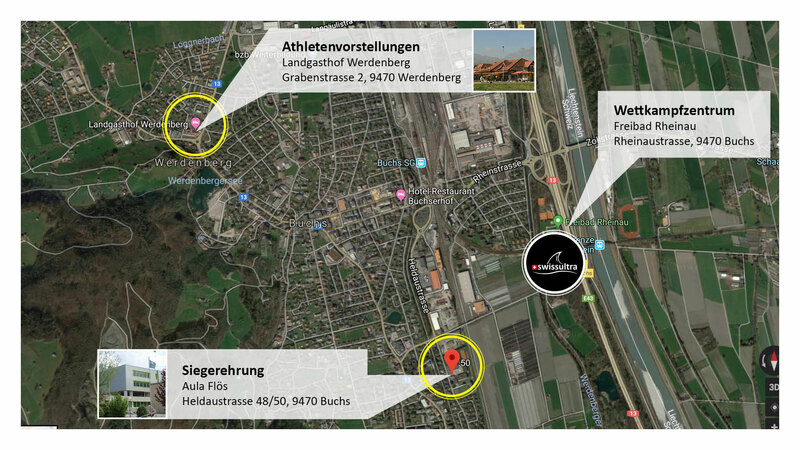 Additional persons and guests are warmly welcome with advance notification until 9 August 2019, by email to events@swissultra.ch. This event is mandatory for all DECA athletes (at least the race briefing). Food is included for all athletes and up to 2 accompanying persons per athlete. 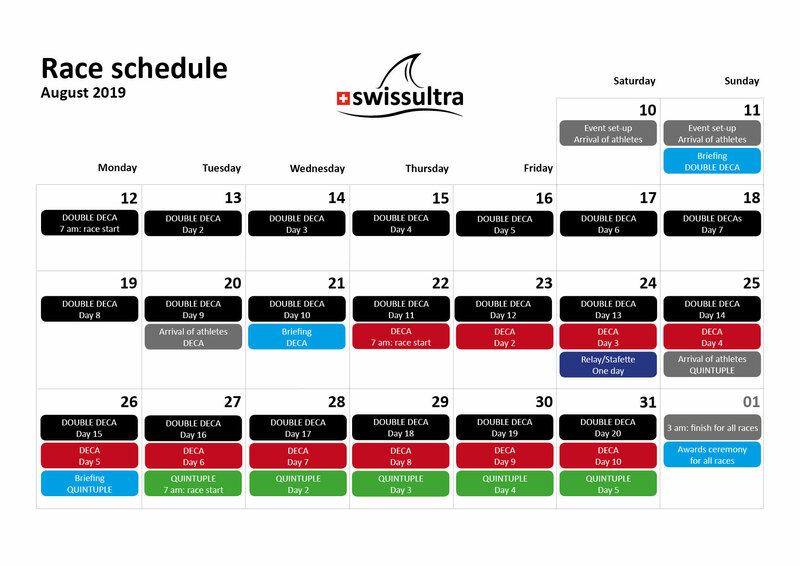 Additional persons and guests are warmly welcome with advance notification until 19 August 2019, by email to events@swissultra.ch. For our sponsors, supporters and fans we will offer a relay on August 24th. Each team consists of 2-6 persons, who will compete together with the ultratriathletes. If you are interested to participate in the relay, please write an email to info@swissultra.ch. This event is mandatory for all DECA athletes (at least the race briefing). Food is included for all athletes and up to 2 accompanying persons per athlete. Additional persons and guests are warmly welcome with advance notification until 24 August 2019, by email to events@swissultra.ch. 5.00 pm: aperitif for all volunteers, supporters, guests and athletes at the finish line. For athletes and up to 2 accompanying persons, food is included. More crew people, relatives and guests are warmly welcome with advance notification until 30 August 2019 (events@swissultra.ch). The entry fee for every guest is CHF 15 and can be bought on site.